Bryan Casson > Blog > SEO > Is SEO Training Necessary for Your Company? 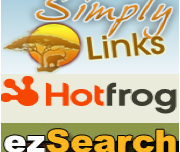 Many SEO companies in South Africa offer solid SEO training. While these sessions can indeed be very informative I thought I better outline the difference between SEO education and SEO training. If you expecting SEO training and get a SEO crash course instead then this needs to be understood from the start. SEO education is a crash course on the understanding of SEO from a non-SEO specialist point of view. SEO education courses are a great way to allow your company to learn the basics of what SEO is, and how search engine optimisation works? Who is SEO education for? Companies or individuals looking to understand the very basics of search engine optimisation so that they have an understanding or how everthing works but do not necessarily need to apply changes. This sort of training is usually for CEO’s and board members that need to understand a process before assigning specialists to commit to the process. Schools and education departments looking to help their students understand what SEO is and how they may want to consider it as a job opportunity in the future? SEO training is only needed if your company is looking at managing and implementing their SEO strategy in-house. Search engine optimisation training covers the topic in detail and usually takes up quite an extensive duration of time. This sort of training works best in small groups as a one-on-one approach is necessary in order to get the level of understanding needed to implement SEO. Individuals within a company needing to do the everyday maintenance of your company website. SEO training will allow them to actively implement the right strategies in the right sequence for optimal site performance. Companies looking to launch a new website that is optimised from the start. If you are looking at getting a basic understanding of SEO without doing the work yourself then an SEO education course is more than enough. If you are looking to offer SEO services yourself or bring everything in-house then it may be time to get your new recruits professionally trained by a SEO expert.